Polysorbate 20 is a surfactant, emulsifier, and fragrance ingredient that is used in a variety of cosmetics and personal care products. Polysorbate 20, also listed on an ingredient label as Tween 20, is formed by the ethoxylation of sorbitan before the addition of lauric acid. Let’s explain this in simpler terms. The process of making polysorbate 20 begins with sorbitol, a sugar alcohol that can naturally be found in some fruits. The dehydration of sorbitol results in sorbitan. The next step in the process of making polysorbate 20 is ethoxylation, which is a chemical reaction in which ethylene oxide is added to a substrate (in this case, sorbitan). Thus, sorbitan is reacted with 20 units of ethylene oxide (hence the 20 in this ingredient’s name). The final step is the addition of one lauric acid group esterified as the hydrophobic tail. Polysorbate 20 is used in a variety of cosmetics and personal care products including cleansers, makeup bases and foundations, shampoos, fragrances, and more. This ingredient exists in the form of a clear to light yellow viscous liquid. Polysorbate 20 functions as a surfactant, emulsifier, and fragrance ingredient. Surfactant is the short term for surface active agent. Surfactants are compounds that lower the surface tension between two substances, such as two liquids or a liquid and a solid. In skin care products, surfactants work to degrease and emulsify oils and fats and suspend soil, allowing them to be washed away. This is possible because while one end of the surfactant molecule is attracted to water, the other end is attracted to oil. Thus, surfactants attract the oil, dirt, and other impurities that have accumulated on your skin during the day and wash them away. Due to these properties, polysorbate 20 can be found in many different cleansers and body washes. The HLB value of polysorbate is 16.7. HLB (Hydrophile-Lipophile Balance) is an empirical expression for the relationship of the hydrophilic (“water-loving”) and hydrophobic (“water-hating”) groups of a surfactant. Ingredients with HLB values greater than 10 are classified as water soluble. Polysorbate 20 also functions as an emulsifier. 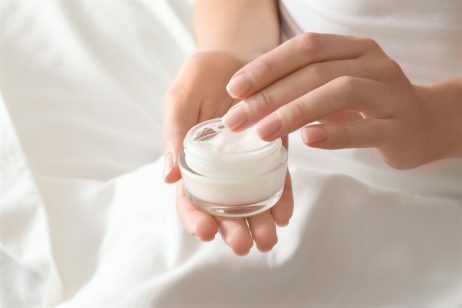 An emulsifier is needed for products that contain both water and oil components, for example, when essential oils are added to a water-based formula. According to EFEMA, when water and oil are mixed together and vigorously shaken, a dispersion of oil droplets in water – and vice versa – is formed. When shaking stops, however, the two phases start to separate. To address this problem, an emulsifier can be added to the system, which helps the droplets remain dispersed and produces a stable emulsion. As an emulsifier, polysorbate 20 consists of a water-loving hydrophilic head and an oil-loving hydrophobic tail (lauric acid). The hydrophilic head is directed to the aqueous phase and the hydrophobic tail to the oil phase. Once again, polysorbate 20 reduces the surface tension by positioning itself at the oil/water or air/water interface, which has a stabilizing effect on the emulsion. Finally, polysorbate 20 functions as a fragrance ingredient. As mentioned above, polysorbate 20 is initially derived from sorbitol, which can naturally be found in sweet smelling fruits like apples, pears, peaches, and prunes. The Food and Drug Administration (FDA) approves use of polysorbate 20 as a synthetic flavoring substances at specified concentrations and formulations. 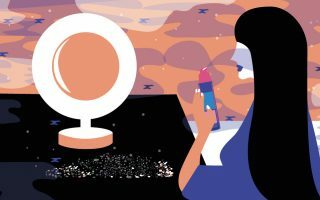 The Cosmetics Ingredient Review (CIR) Expert Panel evaluated the scientific data and concluded that polysorbate 20 is safe for use in cosmetic formulations. Despite the approval of polysorbate 20 by the CIR Expert Panel, there are concerns about the presence of ethylene oxide in this ingredient. This is because the process of ethoxylation may lead to contamination with 1,4-dioxane, a potentially dangerous by-product. In fact, 1,4-dioxane is a known animal carcinogen that penetrates readily into the skin. This ingredient has also been linked with skin allergies. References: Wikipedia, “Polysorbate-20”, Cosmetics Info, “Polysorbate-20”, Paula’s Choice, “Surfactant”, Dow, “What is HLB”, EFEMA, “What is an emulsifier?”, Organic Consumers Organization, “1,4-Dioxane and Cosmetic Safety”.